Jim Shore’s Santas Around the World collection shines a light on holiday traditions of cultures near and far. 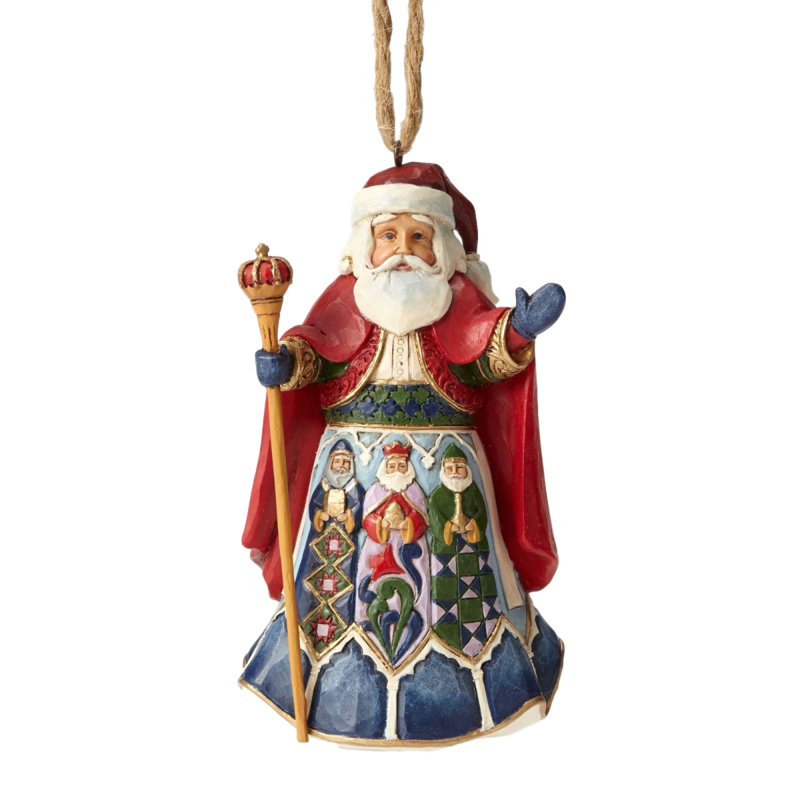 This colorful Spanish Santa features an image of the three kings. In Spanish tradition the three kings play the role of Santa; delivering toys to deserving children. Hanging Ornament for your Christmas tree or everyday!